Keeping track of employee leave can be a stressful task. It is tough enough when an employee moves between departments. When they are leaving for an extended period of time, it can be a strain on the business. As a business owner or employer, it is your job to provide benefits for your employees and keep them happy. However, there still needs to be a system when it comes to approving employee leave, and this system is added on to everything else you have to do as an employer. Here are five reasons why a business owner should outsource leave management processes. There are many reasons why it would benefit an employer to outsource leave management processes. For starters, the only thing that this source would have to worry about is to manage employee leave. As a business owner or an employer, it can be hard to keep track of every aspect of the business, and it’s easy to lose track of things. 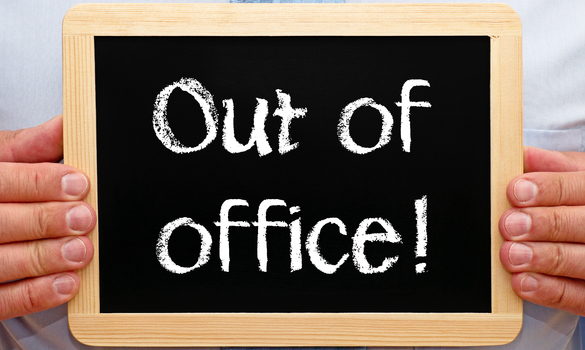 By having an outside source managing employee leave, you can ensure that every employee request and approval or denial will be documented. This way, if anything is brought up at a later date, you will have the information ready to look back on. Another thing to keep track of when granting employee leave is paid leave costs. Many business owners offer paid leave to employees. However, if too much paid leave is offered, the company starts to lose money. A company loses money offering paid leave because of lost work. This may not seem like a lot, but anything more than this will start to affect the company cash flow management. Again, it can be easy as an employer to lose track of the requests put in by employees. Having an outside source manage this leave will ensure that your company will not lose more money than is necessary. The Family and Medical Leave Act also affects the amount of leave given to an employee. The FMLA offers up to 12 weeks per year of leave to accomodate to certain personal situations that employees might have. These situations include birthing or taking care of a newborn, taking care of a foster or adopted child, and taking care of an ill family member. Because of the specificity of the Act, background checks are usually administered to approve the leave under FMLA. An outside source can manage the check, ensuring that the employee is getting what they need from the company. Another law that affects employee leave is the Americans with Disabilities Act (ADA). This Act requires that employers with over 15 employees must accommodate to the needs of injured or disabled employees. Again, the company may require a background check or medical documentation from the employee, which can be accessed by the outside managing source. This leave can be for any matter of time, depending on the employees condition and other wellness benefits offered by the company. Because of this, the outside source will also be in charge of deciding how long this would be. With the help of this source, the business owner will not have to deal with the stress of overstepping any boundaries created by these laws. Because of the laws passed to protect employees, companies can face lawsuits if they do not carry out the conditions of these laws correctly. If the requirements for a leave are met because of a law, but the leave is denied, the employee can open a lawsuit against the company. Businesses can face up to $80,000 to defend a lawsuit, and if they are found guilty can be forced to pay over $400,000 in fees. Because of the consequences, companies should greatly consider protecting themselves against this possibility. An outside source will be able to ensure that employees are getting what they need for their leaves. Leave management processes are a difficult thing to keep track of as an employer. You want to keep your employees happy, but you also have to make sure that you are being fair to everyone. Outsourcing this management can ensure that your employees are staying happy. It will be less stress for you, plus this source can validate leaves and keep track of any law violations.